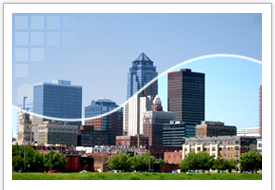 Commercial Appraisers of Iowa, Inc. is a full service commercial real estate appraisal and consulting firm. Our staff is highly educated and experienced in all facets of appraising real estate. Our clients include lending institutions, assessors, law firms, state and local government agencies, engineering firms, accountants, insurance companies, and private property owners. strong relationship with our clients. Our company acquired the appraisal firm Carlson, Gunderson & Associates in 2010. As part of that purchase, our firm is now completing the Annual Des Moines Apartment Survey. A copy of the most recent survey can be downloaded from this website.